"I've become very intimately linked to the Japanese indie music scene over the years. It's a connection that came about purely by accident, but after my first, somewhat accidental, tour over there with a friend's performance group, I felt an immediate bond with the place and the people there. Over the years I've released a fair amount of Japanese music on the label, and have toured over there four times doing collaborative experimental music. I also publish the magazine Ongaku Otaku ('music maniac'), which is devoted to independent Japanese music of all kinds (noise, psych, punk, etc)." Kadura plays a droning psychedelia with some Middle Eastern influences and even a hint of Can-type Krautrock. A 5-piece consisting of two guitars, zurna (double-reed horn), bass, a-synth, drum, percussion, and vocals, they reminded me of Spacious Mind though considerably harsher. Wonderfully pulsating, moaning guitars with plenty of reverb, the music is dreamy but intense. The vocals consist mostly of eerie chanting. They fit the music well, but aren't so ubiquitous as to become annoying. My favorite tune on the disc is "Move". The song opens with a 'call to prayer'-sounding horn which is joined by somewhat traditional Japanese drumming. The pace increases gradually and the vocals are far more intense than on other tracks. The guitar plays slowly in the background while the horns wail in competition with the drums. The whole thing has an easy going intensity made all the more so by the manic vocals. Another standout track is "Alyster" which is ten minutes of great guitar freakout music. Sonically emotional, this is real lava lamp stuff. 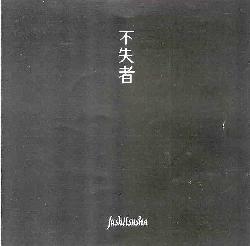 My runaway favorite of the three CD's is Fushitsusha, consisting of Keiji Haino on guitar and vocals, Yasushi Ozawa on bass, and Jun Kosugi on drums. A quick search on the internet revealed that Haino is no newcomer having released numerous solo and band recordings dating back over twenty years. Recorded live at the Great American Music Hall in San Francisco, the disc opens with an impenetrable sonic wall of chaos. Haino doesn't so much solo as he does create multiple layers of what I can only describe as "industrial psychedelia". The bass and drums provide a sort of avant jazz backbone playing busily along with Haino's manic guitar. The vocal's, like Kadura, are more like chanting though far more agonized. Two tracks, "Ciper" and "This Trembling In My Core" (the title is far longer) have a dark chamber music feel that reminded me of Univers Zero or Present. Haino produces layers of symphonic noise guitar that are both beautiful and frightening. This is a very interesting psych/noise power trio music and with so many releases I'll be exploring Haino's work further. In a complete turn from the previous two, Onna-Kodomo plays a dreamy, almost minimalist form of ambient music. A three-piece of guitar, bass, electric violin, and female vocals, the music consists of simple bass and violin lines and, in the one element common among all these releases, chanting vocals. Actually the vocals are quite beautiful though I found it hard to listen to the disc in one sitting. Take a valium, lie down, and go to sleep with it. For more information on these artists you can visit the Charnel Music web site.